Brew up plenty of new business with this must-have fit! This 16 oz. 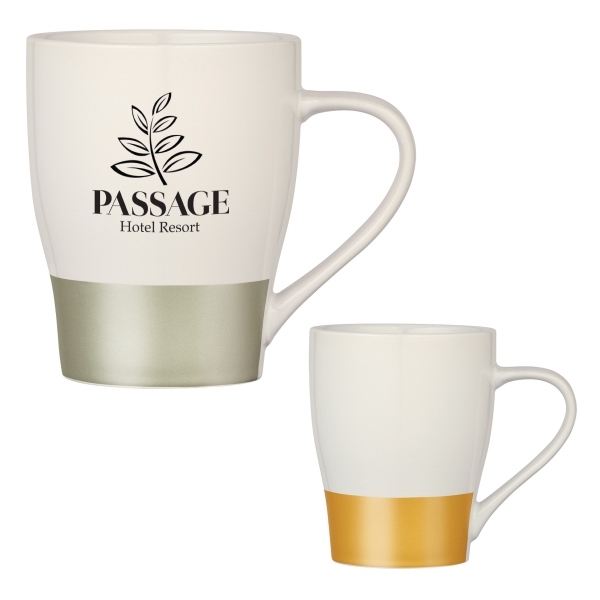 metallic mug comes in white with your choice of accenting stripe (silver or gold) and is perfect for enjoying your morning cup of coffee or tea. It meets FDA requirements and can be customized with an imprint of your company name and logo for heightened brand exposure. Hand wash recommended. Do no microwave. What better way to heat up your marketing efforts! Imprint Area: 2" x 1 1/4"